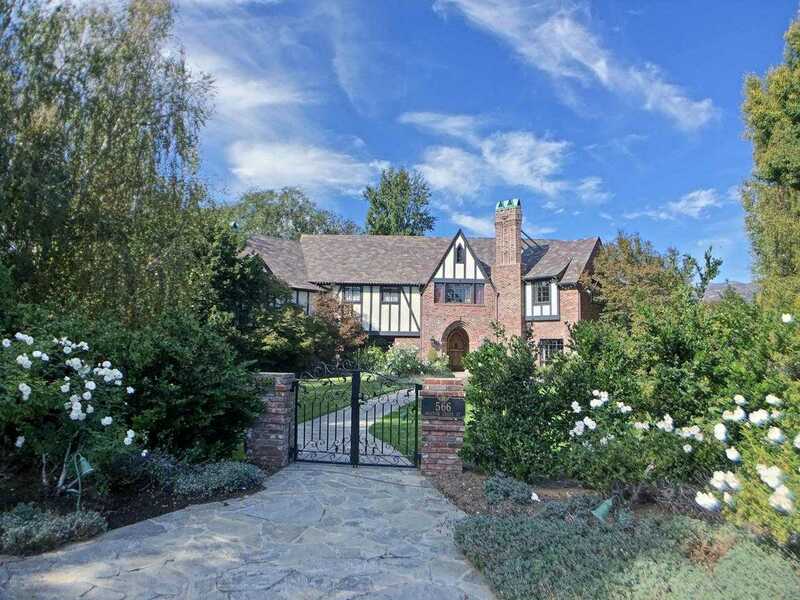 MLS# 819000074 – 566 Meadow Grove Street, La Canada Flintridge, CA 91011 – Robbyn Battles | Battles Real Estate | JohnHart "Real Estate Redefined"
A stunning English Tudor estate in the heart of La Canada Flintridge! Its unique charm of the British aristocracy temperament makes you feel both noble and dignified. The elegant, pastoral, and poetic spirit of the residence is also revealed. Magnificent and premier location. Expansive, private manicured gardens, sparkling pool & spa, fruit trees, patio, vast lawns, and well-defined rose garden. Entering the main house foyer, you will see the formal living room, grand wooden staircase and formal dining room. Comfortable family room and gourmet kitchen. The tremendous eat-in kitchen is certain to be the home’s central gathering space with its easy access to the expansive dining room and the outdoor dining pavilion with fireplace. There are 5 bedrooms and 4 baths on the second floor. The master suite features a beautiful remodeled en-suite bath and spacious master closet. The Guest House features 2 bedrooms, 1 bathroom and a kitchen. The 6-car garage also has a private office above it. A sauna and bath are adjacent to the pool area.The fully fenced-in lot and iron gates provide more privacy. Don’t miss this fabulous and extremely rare chance to own this exceptional property! Award-winning La Canada Schools. Building size: 9020 sq ft.
Inclusions: Please ask listing agent. Please, send me more information on this property: MLS# 819000074 – $6,950,000 – 566 Meadow Grove Street, La Canada Flintridge, CA 91011. I would like to schedule a showing appointment for this property: MLS# 819000074 – $6,950,000 – 566 Meadow Grove Street, La Canada Flintridge, CA 91011.